It doesn’t matter how cold it is outside, there’s never a bad time for yummy homemade ice cream! 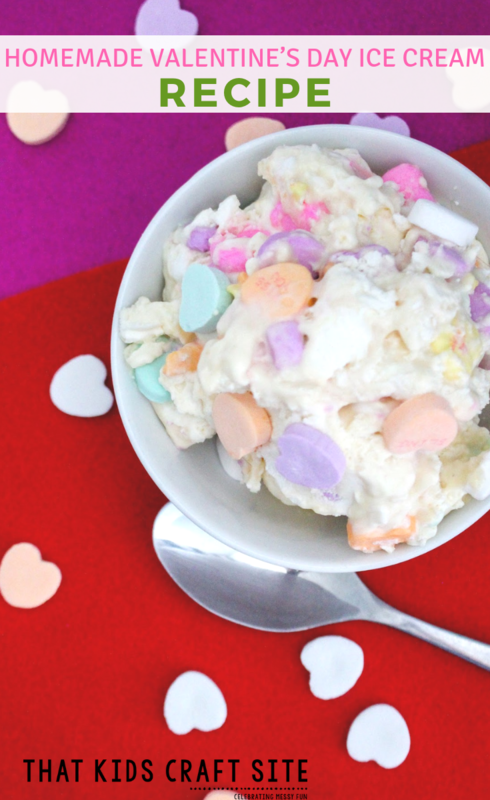 This no-churn homemade Valentine’s Day ice cream is deliciously sweet and super easy to make! One of the best parts about food crafts is that they’re as much a learning opportunity for kids as they are a fun activity. Recipes like this one get kids measuring, talking about chemical and physical reactions, and following specific step-by-step directions. Food crafts are practical, hands-on learning fun! There are a few different ways to make homemade ice cream. Some involve fancy (and often expensive!) ice cream churns. Those are great if you want to set it and forget it! You can also make ice cream with some shaking and salt! That method involves a great science experiment on chemical and physical reactions. This recipe calls for the blender, but don’t worry! With some adult supervision, kids can learn to use the blender too! One of the most important things to remember in this recipe is that the ice cream must be placed in a metal tin to freeze. Any other type of container doesn’t work. Have a blast with the homemade ice cream recipe! It’s perfectly sweet for your favorite Valentine! Enjoy your ice cream and have a fabulous Valentine’s Day! Show Us Your Homemade Ice Cream! Take This Valentine’s Day Ice Cream Recipe with You! 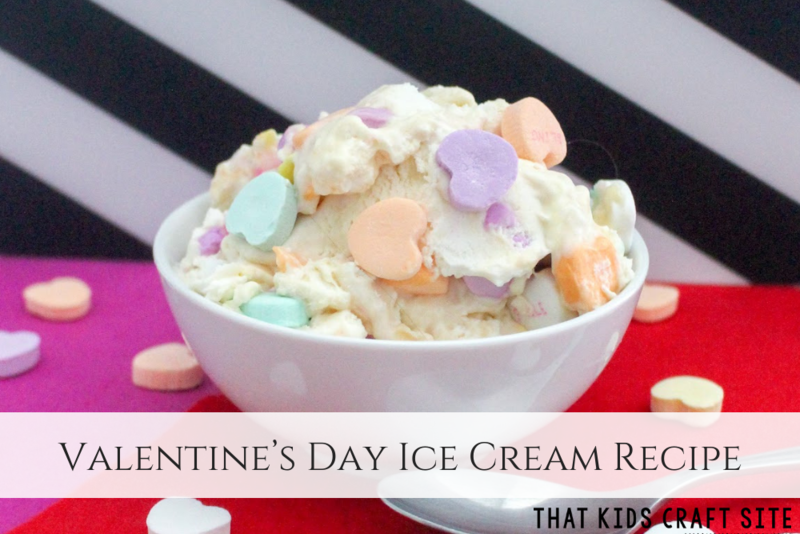 This easy homemade ice cream recipe is the perfect food craft to do with kids for Valentine's Day!